Senior Sara Joerger is no stranger to high school graduations. As the youngest of five siblings she has seen many graduations come and go. She is also no stranger to the process of buying caps and gowns from Jostens, the company Ames High partners with for graduation. “I am the youngest of five so I have four older siblings and they’ve all got different robes,” Sara said. This is because Ames High does not allow students to wear their siblings’ old caps and gowns for the ceremony, she said. According to Sara, all of her older sisters’ gowns would fit her, but instead of wearing them, she is required to buy new. “If you think about everyone that graduates from Ames High school, and everyone who’s not an only child, that’s a lot of graduation robes sitting around,” Sara said. For other students the requirement to purchase new is more than an annoyance. “I will not walk at graduation because I refuse to buy a cap and gown that will inevitably be thrown away,” said Senior Chiara Travesset. Sara and Chiara are not alone in their complaints about the way Jostens and the high school have organized this aspect of graduation. This partnership between Ames High and Jostens goes back a long way, Principal Spence Evans said. Senior dues package that all students are required to purchase to walk at the graduation ceremony. “They help to make sure we get all of our i’s dotted and t’s crossed and we don’t have any mess-ups during graduations,” Evans said. “They have been a good partner with us.” He said that the cap and gown comes in a $60 package that includes all of the graduation materials; in addition to the cap and gown, this package also contains the graduation cover, diploma, tassel, and stole. Before, when each was offered separately, a situation arose where some students didn’t purchase a graduation stole and felt left out on graduation day when all their classmates had one, Evans said. Purchasing this $60 package is a requirement to participate in the the graduation ceremony, with some exceptions for those who find the cost a financial burden. Since switching to this less flexible package model from the more a la carte model, Ames High has had many successful graduations, resulting in the school adopting an if it’s-not-broken-don’t-fix-it attitude. “For me personally, as a high school principal, the one thing you don’t mess up is graduation,” Evans said. 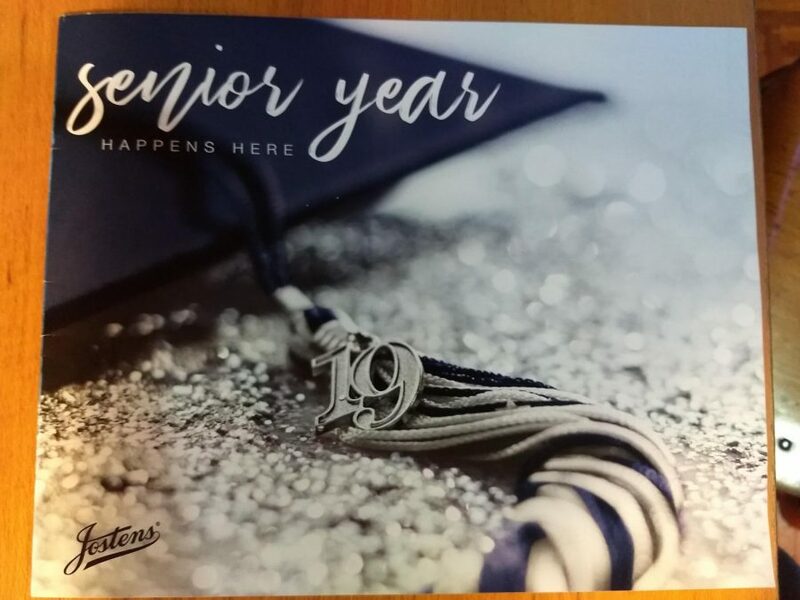 According to Evans, the issue of the cap and gown packages is an issue that has been repeatedly brought up and seems to be “picking up steam”. He hopes to explore alternative options. “There’s no doubt the way we do it makes it simpler for everyone involved. Specifically, administratively keeping track of who orders what,” said Tim Robson, the Josten contact point for the school. “The more flexible you are with it the more complex the process will become.” However, if the administration wishes to change the kinds of packages offered, allow students to wear an older sibling’s gown, or switch to a renting option, they can, and Jostens will accommodate for those changes, Robson said. “I think that it is inexcusable that the administration doesn’t offer other options, especially when it’s in their power to do so,” Chiara said. She suggested that a new package could be created that included all of the necessary graduation items minus the cap and gown. This would allow students to still receive everything they need, but substitute a cap and gown from an older sibling or friend. The gowns do not change from year to year, Robson said, making this a viable option. A concern raised by Evans was that the price for an individual cap and gown might go up if the school was purchasing fewer of them, but this is not the case. “It doesn’t matter whether you order 150 caps and gowns or 300. [The package] still would be $60,” Robson said. Chiara also suggests that the school should be looking into renting the caps and gowns each year to eliminate the waste of the keeper gowns altogether. “I automatically assumed that renting would be an option, because that is what ISU does,” Chiara said. Several of the other schools Jostens partners with have opted for the renting option, Robson said. “Cost-wise it’s negligible – the difference between doing the two,” he said. “It’s not a large amount when you talk about the cost difference between renting and keeping.” The keeper caps and gowns are made of a lightweight polyester and are sourced from Mexico. Robson did not know any specifics about the production of the caps and gowns. Robson also said that students lose flexibly with a rented cap and gown because they have to return it immediately after the ceremony, losing opportunities to take photos. For Chiara it’s not about the monetary cost of the garment. “I really did want to walk at graduation, but it’s against my morals to buy a throwaway garment that was made in a sweatshop,” Chiara said. “This type of thing hurts people and the environment, and I am being required to buy it if I want to participate in the most important event of my high school career.